Looking "where to sell my Cadillac Series 62?" Ask the Chicago Car Club! Are you wondering "where to sell my Cadillac Series 62 ?" The Chicago Car Club is interested in classic cars of all makes and models, especially a Cadillac Series 62. We make the process of selling your Cadillac Series 62 quick and painless. In just a matter of hours we will have your classic valued and, if you do so choose, turned into money in your pocket. All it takes is a phone call or electronic inquiry to get the ball rolling. Cadillac, the savvy and forward-looking auto maker, designed and manufactured the Series 62 models from 1940 to 1964. The model was in production for over two decades, giving us a great look at the evolution and innovation of Cadillac’s classic cars. The Series 62 was originally introduced to replace the entry level Series 61, and stayed in production for over two decades. That is, until it was obliterated and renamed to the Cadillac Calais in 1965. 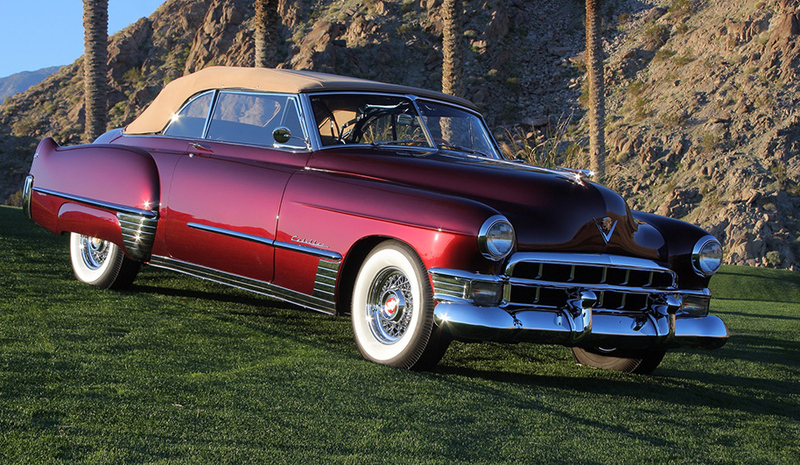 The first generation of Cadillac’s Series 62 was created and introduced in 1940. The car featured an interesting low, sleek, torpedo style of body. It also came with chrome window frames, a slanted windshield, and a curved rear window. In its first two years of production, the Series 62 had huge success and set sales rate records that surpassed any previously held records for the company. The second generation of the Series 62 featured some dramatic design changes when it was introduced in 1942. Most notably was the big expansion of the grille, and a change in the design of the front and back lights. Fenders were also rounded and longer, and the Series took on a bigger and wider look. New technology and innovations were also becoming more prevalent with the Series 62, like a fresh air ventilating system that replaced older cowl ventilators. Sales and popularity kept growing for the Series 62, accounting for more than 64% of all Cadillacs sold in 1947. Soon after, the third generation of the Series 62 was dropped in 1948. The Series 62 went through a significant change and was moved onto the 126 inch chasis. But most notably was the introduction of a convertible 62 series model with the third generation. While overall sales initially dipped, The Series 62 still accounted for over 68% of all Cadillacs sold that year. Throughout the next couple of years, the Series 62 saw more major engine and styling changes. In 1950, for example, the model was lowered and made sleeker. It came built with a much longer hood, and a one-piece windshield too. In 1951, the Series 62 ended up breaking sales records once again and popularity started to peak. A few years later Cadillac introduced the fourth generation of the Series 62. The new style was introduced in 1954, with an ever lower and sleeker body, a cellular grille, and inverted gull wing front bumpers. Round, jet style dual exhaust outlets were added into the back bumper. Cadillac created and manufactured seven generations of the Series 62 models. Throughout two decades, the Series 62 was a vehicle that carried the evolution and innovation of car manufacturing. Cadillac introduced significant changes to the design and engineering of the Series 62, making the progression of the Series 62 model an excellent example of the evolution of luxury auto manufacturing in the United States.